Crystal Beach, Florida is a small, incorporated community in northern Pinellas County along the Gulf of Mexico. Homes in this small community of about 1200 residents have the distinction of not having mailboxes because they have no mail service. Residents pick up their mail a the post office, which is not too inconvenient since every home is within a half mile. Crystal Beach was founded in 1912 as a fishing village and today is an eclectic mix of old-world Florida homes, new waterfront mansions and everything in between. If you're looking for a Crystal Beach pool builder to turn your back yard into the ideal Crystal Beach outdoor living space for you and your family, look no further than Grand Vista Pools. 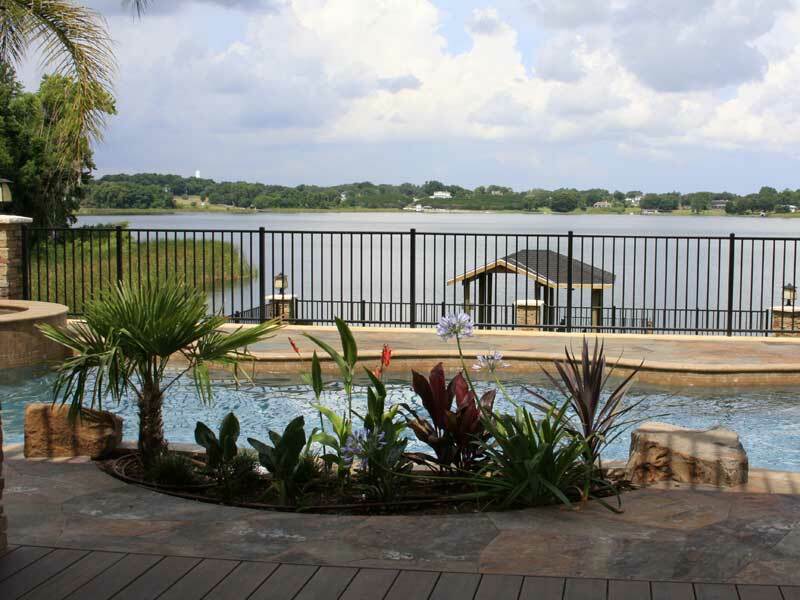 We've been building new swimming pools in Crystal Beach and the surrounding area for more than two decades. One thing that makes Grand Vista Pools unique is not only are we an experienced pool builder, but we're also a licensed general contractor. This means we can design and build your entire outdoor living space and make renovations to your home to help connect your existing indoor living space with your new outdoor living space. Do you have an older Crystal Beach swimming pool that needs remodeling? Want to add lighting, water or fire features? Or maybe a spa? We can do all kinds of pool remodeling projects from pool resurfacing to extreme makeovers. Pool remodeling can make an old, worn pool look better than ever thanks to the new design options, features and technology we provide today! Grand Vista Pools is also an experienced Crystal Beach outdoor kitchen builder. From a stunning outdoor grill to a full-featured kitchen to a relaxing outdoor bar, we can create the perfect outdoor living space for you and your family.